Over 10 years, SKN Cosmetic Surgery Clinic has been successfully treating all types of skin pigmentations including freckles, sun spots, age spots, birth marks and hyperpigmentation on facial and body areas. Laser Pigmentation Treatment in Islamabad, Rawalpindi is gaining immense popularity. This non-invasive technique involves use of lasers, when targeted these are absorbed only by the cells containing excessive concentrations of pigment thus to give clear smooth skin. After getting 3 sessions of Laser Pigmentation Treatment in Islamabad, Rawalpindi & Pakistan you will achieve the final results you desired of. The treatments we offer gives natural, clean and spotless skin. These results increase your attractiveness as well as your self-confidence. Results vary among the individuals. No guarantee. It is true that most of the times pigmentation goes away on its own but some discolored skin pigmentations require a cosmetic treatment. The treatments we offer takes about 15-30 minutes for performing the procedures depending on the size of the treatment area. It is one of the progressive rather than aggressive treatments. Microdermabrasion is performed on those patients who want to minimize the darkness of pigmentation. The upper damaged layer of skin cells is removed by applying tiny crystals. It exfoliates the surface of skin to reveal of layer of new skin cells. 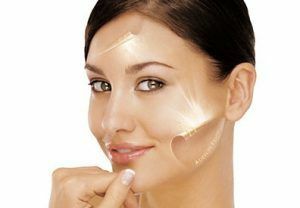 Depending on the type and severity of pigmentation, chemical peels are used for stubborn spots. Most common salicylic acid, glycolic acid and TCA chemical peels are widely reducing the appearance by playing their role. Research has shown that they are powerful at speeding up the results and removing the deeper pigment. IPL targets sun-induced discolorations by utilizing the light-based energy. Light energy simultaneously targets blood vessels of the affected skin by seeking out the discoloration to lift it up and out. Oftenly, IPL therapy is carried out after two sessions of laser treatment for permanently cleaning up the skin. Fractional laser treatment works best for eradicating the stubborn pigmentations. Laser beams create safe and controlled micro-injuries in the skin that in turn generates natural collagen and elastin fibers. This stimulates the natural healing process. No results are seen after one treatment. Therefore, multiple sessions are required for generating a fresh and healthy skin. Redness and swelling are normal. Both of these minor side effects gets normalize within 2 days. Right after the treatment, the treated area becomes darker but gradually the pigmentation Treatment Islamabad is minimized up to the desired level. You can go with your activities right after the next day. Using only the latest technology available, we pride ourselves in offering you the best possible treatments available at SKN Clinic. Our highly trained nurses and therapists are experienced in treating hyperpigmentation through an advanced range of Skin Pigmentation Treatment in Islamabad, Rawalpindi & Pakistan. We can guarantee you the level of service that you deserve. So fill in the form and book a FREE appointment today.